We have seen many different ways to charge your smartphone, and now UK mobile operator Orange has announced a new device that they will be testing out at this years Glastonbury. 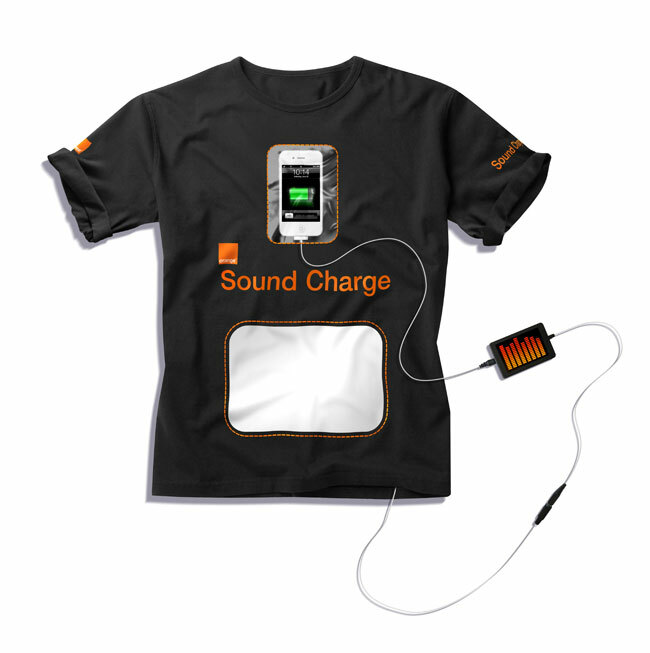 The Orange Sound Charge T-Shirt, is designed to recharge you smartphone using sound waves, and it has been developed in conjunction with renewable energy company GotWind. The Sound Charge T-Shirt features Piezoelectric film, which is normally found in HiFi speakers, and on the front of the T-shirt there is an a4 panel made from the Piezoelectric film, and it is designed to act like a large microphone and absorb sound pressure waves, have a look at the video below which explains how it works. Orange will be testing out the Sound Charge T-Shirt at this years Glastonbury, and it is in the early prototype stages at the moment, so it may be a while before you will be able to get your hands on one, you can find out more details over at Orange.